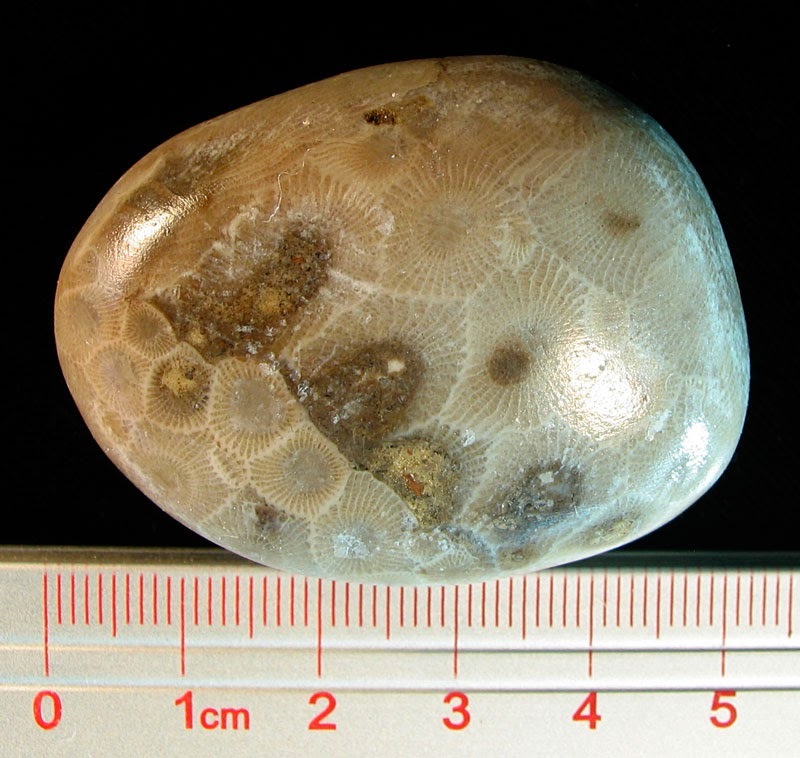 Here are some pictures of Michigan's state stone Hexagonaria polished coral (aka Petoskey stone). It was named their state stone in 1965 by Govenor George Romney while their state fossil is the mastondon (Mammut americanum). 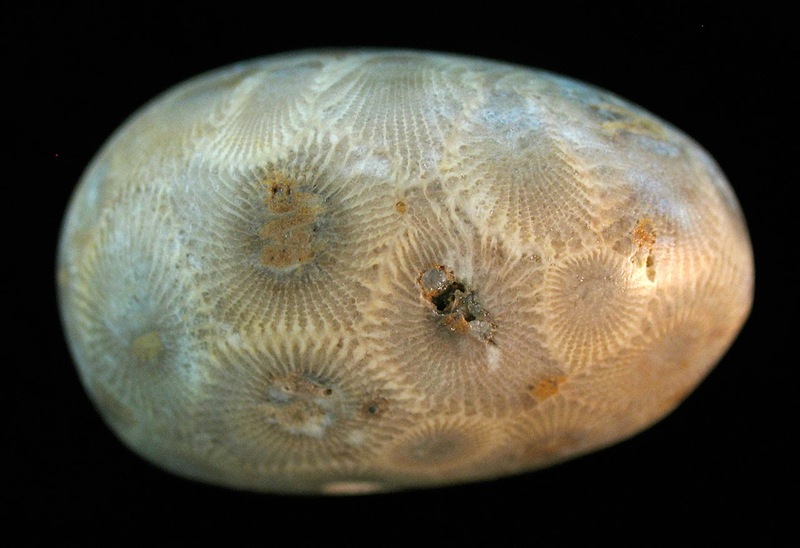 The Hexagonaria coral is from the Devonian Period and quite attractive when polished. According to Wikipedia.org they are found in Gravel Point Formation of the Traverse Group of Michigan, USA. The stones are named after an Ottawa Chief Pet-O-Sega (Petosegay) whose land the stones were found on. Thanks to Vic for the fossil specimens. 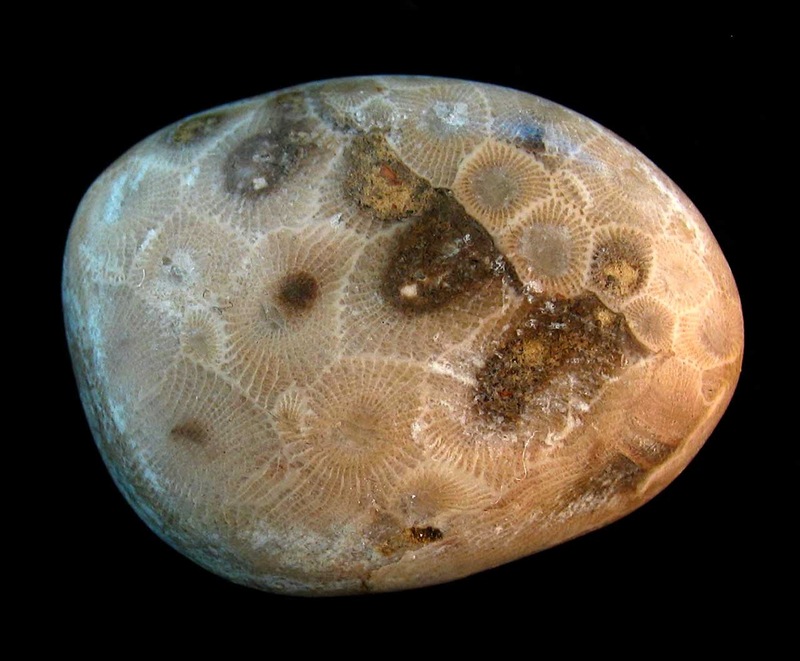 Learn more at the Wikipedia.org entry on Petoskey stones.